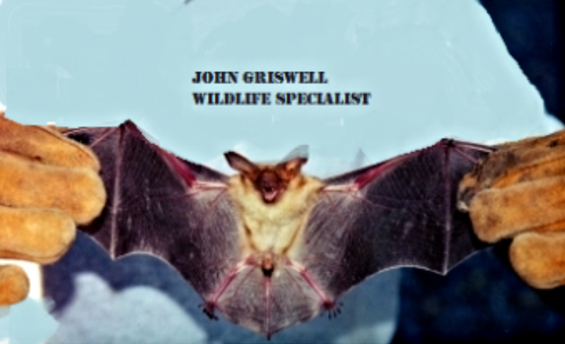 Bat Control: Professional Trapping and Removal Services in Atlanta. During your initial inspection, we provide a written inspection that summarized our review of your home. During the initial visit, we inspect the attic and the exterior for bat activity and develop a plan for bat removal. W will provide you a quote for our flat rate services, so there are no surprises. Successful bat removal requires the skills of a properly trained professional to ensure they don’t get back inside through a different location. Complete sealing of a home’s roofline and vents is required to prevent entry. Due to the complexity of performing proper bat removal, many people find that bat exclusions are outside the scope of a do-it-yourself project. Safety is a prime reason to consider a professional. All of our trucks are stocked with equipment such as ladder hooks, pivits, harnesses & lines, which improve safety. We then will carefully install special exclusion traps that allow the bats to exit the building, but not re-enter. After a few days or weeks, the expert will then make sure all the bats are outside the building, and carefully remove the “traps” and seal the holes. The clean up can follow, and may involve several days or weeks, depending on the amount of material left by the bats. Of course, bat mite control may be a part of the process, as well as repair of any damaged structures. This step entails sealing gaps mainly along the roofline, because bats will generally come into a house from higher up. We seal the exposed construction flaws so that bats can not squeeze there way back in. Bat proofing is done in conjunction with bat exclusion – where the bats are allowed to leave the home unharmed with one way bat cones. This is the final process to bat removal. Attic Restoration is a very common service offered by wildlife control companies in Georgia. A fun fact is that insulation companies actually do not remove insulation, rather they only install and do cap-overs. “Cap-Overs” is the definition of simply blowing more insulation on top of your old. Obviously when wildlife critters destroy your attic, and leave their feces and urine everywhere, a cap-over isn’t a solution. Only wildlife businesses and very few other companies will carry the proper suction hose equipment and insulation vacuums to totally re mediate and restore an attic space. We then offer decontamination of the attic, sanitation to rid odors, and insulation replacement services. Wildlife Removal Specialist of Atlanta, are completely capable of offering the full-attic restoration service to homeowners with these kinds of problems. We provide your attic with proper R-Value of insulation. Don’t get ripped off be some fly-by-night company trying to charge you a fortune for attic clean-up. Choose us – Call Today, to schedule your free inspection. Atlanta Bat Control and Bat Removal in Atlanta. We are experts in Bat Control, Bat Exclusion, and the Removal of unwanted bats from your Property. You should contact a bat control expert at the first sign of infestation (more than one bat encountered inside more than once a year, or physical signs of bat guano). This way, you’ll be sure to have the problem under control before the bats can cause any more damage to your property or health. There is no doubt about it; bat exclusion is expensive. Be sure to ask what is included in your estimate to make sure you are not left with any “hidden” costs after the bats are excluded. But even considering the expense of bat exclusion, it is still cheaper than the health risks, liability for possible exposure to others, and the property damage should you decide not to take action on your bat infestation. Think of it this way. If your roof were to leak because squirrels chewed holes and made nests in your attic, you’d pay whatever it took to get rid of the squirrels and repair your attic, wouldn’t you? This is the same, except the bats didn’t “chew” their way in! If you suspect you have bats, call a bat control professional. Ask all the questions and make sure your concerns are addressed. When your choice is made and the process is underway, sit back and let the expert do his work. And look forward to bat-free days ahead.